Our family trip to America began with a quick 36 hours in New York City, then continued on to Princeton, New Jersey, where Oxford Daddy spent the week ensconced in Princeton University’s Firestone Library doing archival research. The Baberoo and I explored the lovely Princeton town centre and found as many baby-friendly places as possible. Our first recommendation is the Princeton Public Library. Reopened 10 years ago in a state-of-the-art building, it has an entire floor for children that includes books for all ages, an exhibition area, a special play room with lots of toys, and a separate room for storytime and other educational sessions. We visited three times in two days and met some very friendly parents and their babies. The play room was wonderful; lots of parents and nannies were using it with their babies and small children and the Baberoo enjoyed all the toys, while I appreciated not having to chase her around the bookshelves and re-shelve all the books that she would be pulling out. We went to the storytime session on a Tuesday morning and the presenter, Martha, was wonderful. We had to step out a bit early due to a diaper emergency, but that was OK because there is a baby-changing facility in the bathroom on each of the library’s three floors (in the ladies’ rooms; I’m not sure whether there is something similar in the men’s rooms). The changing table is right outside the doors to the cubicles, so when it is pulled down it obstructs the entrance to some of the cubicles, but other than that it works fine. The Princeton Public Library also has a café and lots of comfy seating areas within the stacks, which came in handy when the Baberoo was napping and I wanted to sit and read for a while. It’s a wonderful resource and if we lived there we would be there almost every day. 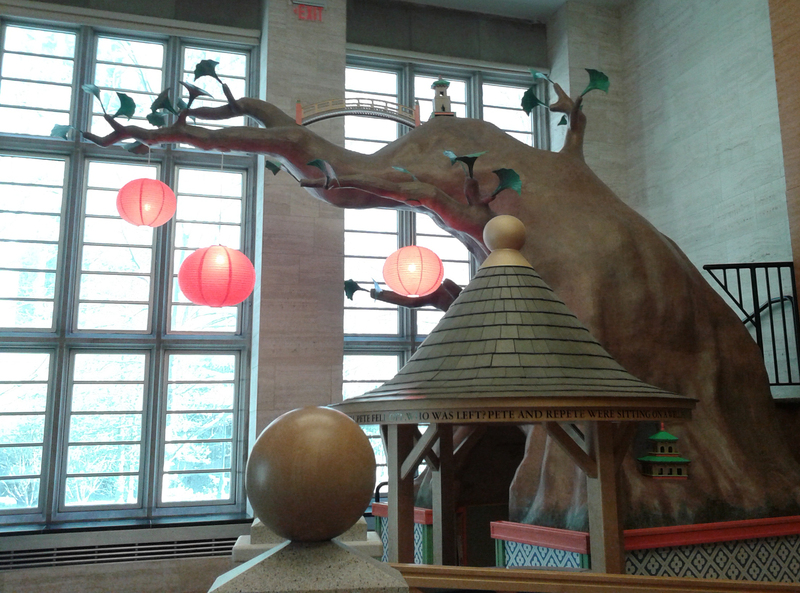 I think it may be the most baby-friendly public library I’ve ever visited. Another lovely baby-friendly place we found in Princeton was the Bookscape at the Cotsen Children’s Library, located on the ground floor of the Firestone Library on the Princeton Campus. The Bookscape is a reading space for children, populated with topiary animals, a wishing well, and a hollow tree full of books to read. There’s also an activity area for free education sessions. Lots of comfy chairs and whimsical furnishings make this a wonderful space for both children and adults. We were the only ones there when we visited, so we had the run of the whole place. The Baberoo loved exploring all the nooks and crannies and having some of her favourite books read to her. There is a baby-changing table in the nearest ladies’ room (just off the main entrance to the Firestone Library), although it’s a small room and you won’t be able to fit your pram inside. The Cotsen Children’s Library has a space at the entrance for you to leave your pram, which can’t be brought into the Bookscape. 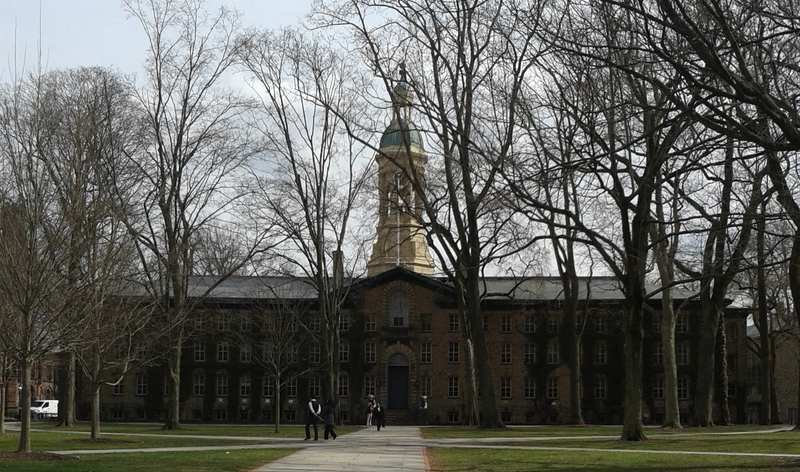 Don’t forget to also have a walk around the Princeton University campus, which is beautiful. Our third find in Princeton was the fabulous Labyrinth Books (can you tell that we love books in our family?). 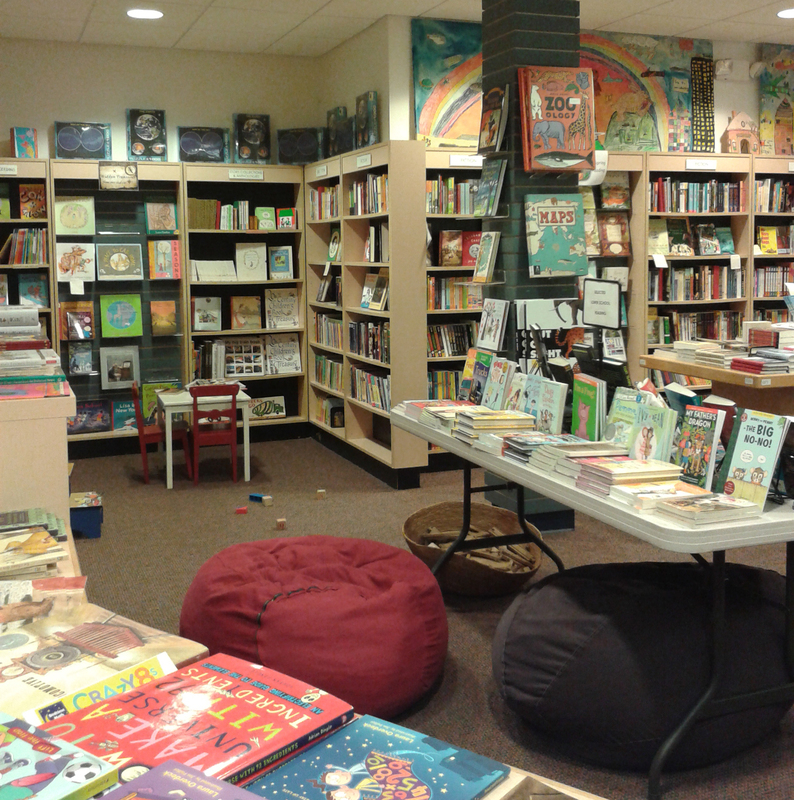 This bookshop has a great selection of both adult and children’s books, and it has a small space in the children’s section with beanbags and some wooden toys for children to play with. The Baberoo loves beanbags so she had lots of fun, but she’s also at the age where she loves whacking books off of bookshelves, so we only had a short playtime. Still, it’s great if you want to sit and read some books before you buy (you will definitely leave with at least one book!). They also have a baby-changing facility in the women’s bathroom; it’s in one of the cubicles and it’s big enough to fit your pram in. Princeton also has a few baby-friendly restaurants in the town centre. During our few days there we visited PJ’s Pancake House (where the Baberoo had some macaroni and cheese, plus some of Mommy’s spaghetti marinara), Teresa Caffe (where the chef made the Baberoo a special dish of peas in brown butter – utterly delicious and only $1! 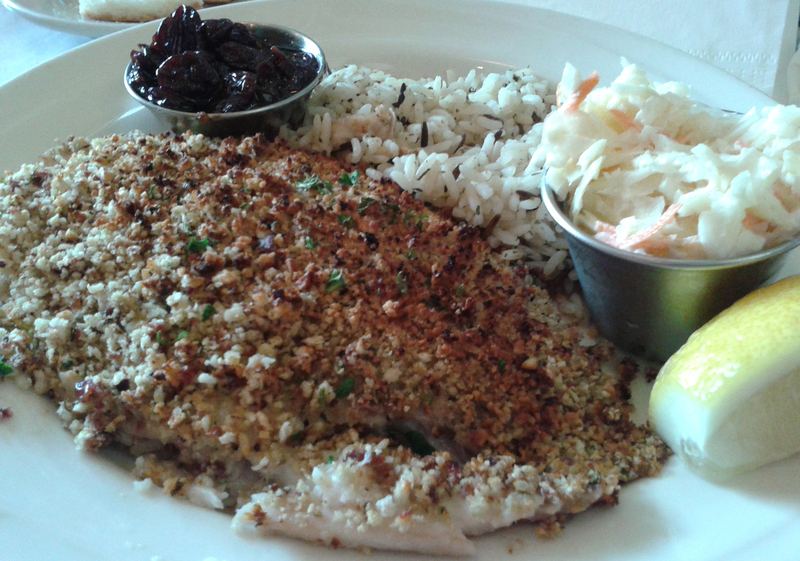 ), and the Blue Point Grill (where the Baberoo had some buttered pasta and then ate the side dish of rice that came with Mommy’s hazelnut-and-cherry-crusted tilapia). Most of the sit-down restaurants in town have high chairs and baby-changing facilities. There are definitely some baby-unfriendly elements to Princeton, though. In the downtown area, which has been kept very pretty and only has high-end shopping, there’s no supermarket. If you want to buy fresh food like fruit and snacks that a baby will like, there is very little available. There are some great delis (Olives and D’Angelo Italian Market, to name a couple) where you may be able to find a few things that appeal to babies, but if you want a supermarket it’s in another part of town. Our biggest problem, though, turned out to be where to stay. There is only really one hotel in the middle of Princeton and it’s quite an expensive one, so we went for the less pricey Hampton Inn, which is one of a string of about 20 hotels outside of town that are located up and down the Brunswick Pike (US Highway 1 South). Although it was a fine hotel and we got an absolutely huge room, we realized we had made a big mistake in picking our location. The taxi ride from the hotel to the Princeton town centre is $25, which means $50 a day to get into town and back. This is no problem for most visitors if they don’t have babies, because there is always a hotel shuttle bus that can bring you wherever you want for free. However, we found out upon arrival that the shuttle bus doesn’t take babies. It doesn’t have any car seats, and being a private vehicle it can’t operate by the same rules that taxis do (where you can just seat your baby on your lap). The Hampton Inn were very nice about it and were even up for buying a car seat to use in the shuttle bus, but then discovered that the law required the parents to provide the car seat and even be the ones who installed it in the vehicle every time the baby needed to travel, just in case there was an accident. What a litigious country America is! I would have been very happy to sign a waiver form every time we travelled, but it wasn’t possible. Car seats being the price they are, it wasn’t worth buying one there and just using it for a few days. And there was no alternative to taxis, because there are no city buses that run along the highway (there are hardly any buses in Princeton at all). So the upshot was, although Oxford Daddy got to take the shuttle bus for free whenever he needed it, the Baberoo and I had to take a taxi every time we went somewhere. On one of the days she was able to nap in her stroller in the afternoon, but on another day I knew she would need to go back to the hotel in the middle of the day to get a good two hours of sleep in an actual bed, so I shelled out an extra $50 to get us back to the hotel from downtown and then back downtown in time to meet Daddy for dinner. That’s $100 that I spent on taxis that day, folks. It was most unexpected and it really put a dent in our finances. We did meet a couple of lovely taxi drivers, though. I had heard that in America, especially small-town America, it’s assumed that everyone owns a car. In Princeton that seems to definitely be the case. If you’re travelling to Princeton, either bring a car seat with you, drive your own car with a car seat attached (hard to do if you’re coming from across the ocean!) or prepare to spend lots of money on taxis, because there is no other way to get from many of the hotels to the actual town centre. I can recommend Princeton as a nice place to visit for families, but it’s pretty tough getting around with a baby. It was much easier in our next stop, Washington DC, as I will relate in my next blog post!